Have you ever noticed or come across the Google partner stamp on the web portal of any digital marketing organization? Well, the odds that you have since, certifying to be a Google partner is what each and every digital marketing agency is aiming for today. Subsequently, are there any perks of a Google partner status? How does operating with Google partner make a difference to you, as a customer and to your business? But what does it exactly mean to be stamped, as a Google certified social media partner and why it is always better to work with a Google certified social media partner? How can social media marketing certification from Market Motive help you? So, if you are looking out for a social media marketing certification then Market Motive is the best place for you. The Advanced Social Media marketing certification course will assist you to develop your skills in order to draw traffic to your website and thus would help to build up your brand awareness. Market Motive provides you with the most sophisticated and latest social media techniques that are a major part of this course. In this section, the candidates will be able to comprehend how social media and E-commerce interconnect each other. This Social Media marketing certification tackles the misinterpretations that encircle social media marketing and will educate and train students to adjust to their social media marketing strategy to the company goals. This particular course in social media marketing from Market Motive, will train you to excel in the art of story telling to promote products through social media and you will in turn be able to achieve a Google Partner Stamp easily! Why does a Premier Partner Stamp matter? Recently, Google has made the Premier Google Partner Stamp available to the advertisers who have passed and cleared the precedents to become a Google Partner and who have additionally met the higher spending and performance requisites. The Google Partner program is for digital marketing agencies who qualify as having a sound knowledge of Google products, a sizeable client base and a consistent track record of success. Advertising agencies and digital marketing professionals can also be a part of this program. Earning the status of a Google partner is quite a difficult task. The agency is required to go through a series of difficult test in order to acquire this certification as well as go through severe inspection at regular intervals of time in order to meet up with the definite spend requirement across managed client accounts over a period of 90 days; as an evidence for a definite amount of activity as well as adopt the best practices in client accounts as suggested by the search engine giant. And for this purpose, Market Motive is the best place for you, as you can choose from a variety of social media marketing certifications which will help you to become one of the best social media marketing superstars and your organization can take the industry by storm! Google partner agencies have a workforce who are specialized in Google AdWords and Google analytics, which means that these people are legitimate experts in their individual fields. Additionally, Google ensures that these certifications are the latest and that ensures that the organization or agency meets up with Google’s principles for account management best practices. It is very much essential that Google Partners are familiar with all the features of AdWords and make use of them, in a way that is profitable to their client. It is compulsory for the analysts to expertise in the use of negative keywords, ad extensions; sitelinks inside of ads, phrase matching keywords, broad match customized keywords, ad scheduling, split testing with AdWords and many more. Those organizations and companies that have acquired a Google partner stamp, have a right to use Google’s beta features. This means, that after Google has perfected a new function or feature, its partners can experiment and make use of this feature up to one year or more, before it is made available to its general users. Just think about the advantages that one can achieve, by making use of Google’s marketing feature even before your competitors have access to it! Those Google partners who have a huge ad spend have their individual Google agency team, which they can contact anytime, without waiting in a line when a client has a problem. For instance, if your site has a crisis with malware and your AdWord campaigns are shut down. You will continue to lose your money until and unless those campaigns are not fixed and reactivated. At times, it can easily take a few days to resolve this matter but only if you or your organization has an access to a Google agency team, this crisis can be addressed instantly. 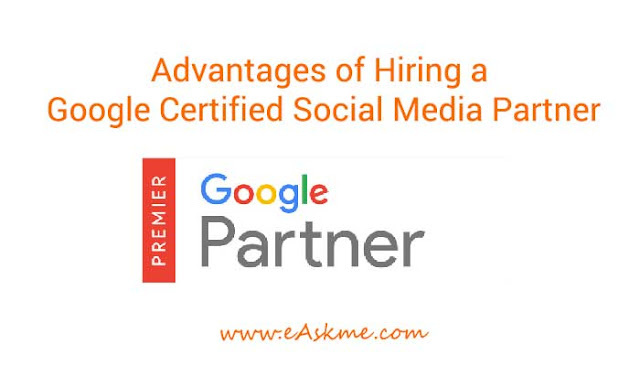 If you want to maintain your Google partner status, then the team members of the agency ought to take certificate examinations in AdWords Fundamentals, Display, Video, Search, Shopping and Mobile Advertising. Similarly, partners can also attend free training sessions in order to keep up with the latest PPC practices. Hence, you will know that your organization is keeping up with the latest PPC trends. Google Adwords partners are obligated to illustrate that they are employing the best practices. This could consists of conducting split testing on ads in order to magnetize the maximum number of customers to a clients website and assuring that there are several ads per campaign group with special messaging. Google also buoys up ongoing experimentation by focusing on a range of demographics that falls into a clients target market. An organization that does not uphold to Google’s standards, for a partners status can have their stamp removed. This assures that a high standard of service is maintained by the partners no matter the date that the partner status was achieved. So, no matter what it is always best that you go ahead with a certified Google partner for your business requirements.